Helen attended the University of Sydney where she studied medicine. She was resident at Sancta Sophia College from 1943 till 1948. She began her career as a GP and after having children returned to medicine to work at the Grosvenor Diagnostic Assessment Centre which was attached to an institution for children with developmental disability. Helen has given a life of service to the medical profession and to people with developmental disabilities in particular. She has treated patients, advocated on behalf of people without a voice, generously contributed to the education of generations of medical students and had played a vital role in the public policy debate on the ethics and the health of people with developmental disabilities. 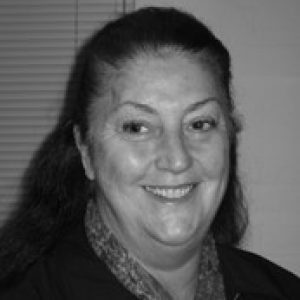 She has received the Certificate of Appreciation from the Western Sydney Disability Service, a Lifetime Achievement Award from the Down Syndrome Association of NSW in 1992, and in 2004 was appointed as a Member in the General Division of the Order of Australia. This appears to sum up Helen’s passion for the rights of the disabled; a passion which galvanised her selfless career into action to improve their lives and give them the same opportunities as those without a disability and for which Sancta recognises Helen’s outstanding contribution to Social Welfare and Impact of our disabled community. 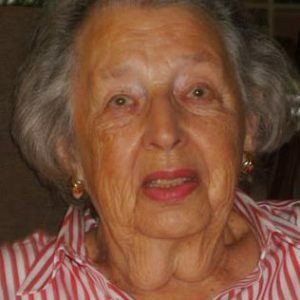 Alison attended The University of Sydney in 1939 and graduated with distinction with a pass Arts degree in 1942. 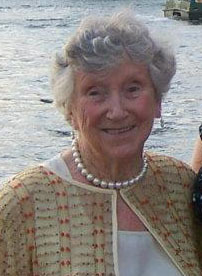 She was a resident at Sancta from 1939-41. She was first employed by Australian Wireless Association (AWA) and from there to work at the Ministry of Munitions. Towards the end of the War, Alison was involved in planning and in setting up the Commonwealth Employment Service (CES) – now CentreLink. Alison went on to be in charge of the International Branch of the Department which had close links to the International Labour Office (ILO), an agency of the United Nations headquartered in Geneva as did the ACTU and employer organisations. Through this organization, policies and standards relating to labour conditions were drawn up and conventions which hopefully would be adopted by member countries and subject to inspection and confirmation by the ILO. When the Menzies Liberal and Country Party government gave the Commonwealth vote to all Aborigines in 1962, Alison was put in charge of Aboriginal Employment in Australia, a position she held for 5 years. Her aim was to improve the education of the Aboriginal population and employment opportunities. In 1974 Alison became an Assistant Secretary of the Department. The appointment of women to this rank at that time was unusual and Alison was one of the first women to achieve this rank. In this position she was involved in international employment policy direction until her retirement in 1981. Alison was a trailblazer at a time when women were barred from permanent employment as clerks in the Public Service and went on to be Assistant Secretary of the Employment Development Branch of the Department of Labour and Immigration, a first for a woman at that time. It is fitting that Sancta recognises Alison’s outstanding contribution in the field of professional development. Victoria attended The University of Sydney and was a Fresher at Sancta in 1966. She holds a Master of Arts degree in Government, a Bachelor of Laws degree and a Masters of Human Rights degree. She has been a Member of the Order of Australia since 2004. She was admitted to the NSW Bar in 1983. In 1989 Victoria was appointed Executive Director of the International Institute of Communications in the UK. During that period she was involved in communications institution building in Eastern Europe and was co-creator of a United Nations Convention on Disaster Communications. For a number of years commencing in 1994 Victoria was consultant to the South African Independent Broadcasting Authority (an AusAID project) engaged in communications institution building following the end of the apartheid government. Victoria is a founding director and former Secretary of the Fred Hollows Foundation and is a member of Amnesty International. She is former Chair of the UTS School of Humanities and Social Sciences Advisory Committee, former Chair of the Jessie Street National Women’s Library and former Advisory Board Member of the Media and Telecommunications Policy Group, RMIT. Victoria has shown great leadership in her work in communications both in Australia and overseas and Sancta also wishes to acknowledge her contribution to leadership in this field.